No one wants stinky pits. 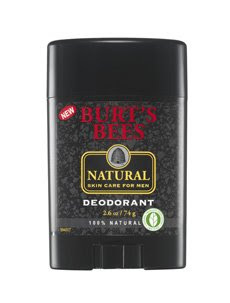 The problem with most deodorants on the market, however, is the fact that they are also anti-perspirants containing harmful aluminum, which has been linked from everything from breast cancer to Alzheimer's Disease. Although there are not yet conclusive links, scientists are still studying the connection. The aluminum will be labelled as Aluminium Chlorohydrate, Aluminium Chloride, Aluminium Zirconium, and Aluminium Zirconium Tetrachlorohydrex Gly. This is another area where science is still trying to reach a definitive answer, but I personally will not use aluminum on my skin as it does get absorbed. Unsure whether your deodorant contains an anti-perspirant? It will have a "drug" label, an anti-perspirant is regulated as a drug by the FDA the way sunscreens are and legally cannot be sold without registering the product as a drug with them. With all of the uncertainty surrounding the ingredients found in deodorants, many "natural" deodorants have cropped up over the years. I switched to Tom's of Maine for my deodorant about 4 years ago thinking it was better. I stopped using it once I looked into the ingredients. Even many natural deodorants contain harmful ingredients, so buyer beware--always look at the labels. If you're a customer, you know I make and sell my own. I will not be talking about my own product because What's In it Wednesday isn't an advertisement for my business. 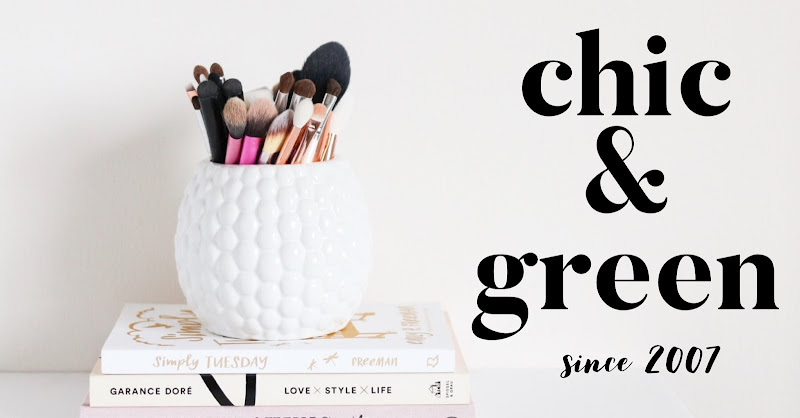 I'll provde you with some great alternatives in the store you can go and purchase today to ease your transition to healthy skin care and toiletries. Let's take a look and compare some popular options found right in drugstores and grocery stores. and all of them contain Propylene Glycol as the #1 ingredient. PG is the #1 ingredient in most natural deodorants, from the ones you see from many handmade sellers to most leading brands in the store. It would be one thing if it were the very last ingredient. It is not. Some people call PG a gentle humectant and conditioner. It is not. In such a high amount, it isn't really safe. PG is used in conjunction with other chemical ingredients as a preservative. It is also found in products to make it easier for other added ingredients to penetrate the skin. This ingredient has been shown in studies to aggravate skin conditions such as eczema. This derivitave of mineral oil is considered a petrochemical. There are many different grades of PG: industrial grade is found in anti-freeze. Some will tell you that skin care products with propylene glycol just like anti-freeze. This isn't true--the kind in cosmetics is cosmetics grade. That being said, can cause contact dermatitis, especially in such a very high concentration. Because it's the #1 ingredient, I cannot recommend it. I also want to mention that Glyceryl Laurate typically comes from Palm Oil. With a short ingredients list and a revamped, more natural line, I was excited to see that Queen Helene made a deodorant. Unfortunately, 2 of the 6 ingredients are on my "must avoid" list. This one also lists PG as its #1 ingredient. In addition, it should be avoided because it contains the chemical triclosan. If you use "antibacterial" hand washes, such as the ever popular ones from Bath and Body Works, then you are using triclosan. Triclosan is the active ingredient in anti-bacterial products, including most anti-bac hand soaps. Triclosan is a cholorphenol (a pesticide linked to cancer). While using this in an appropriate environment-say a hospital-may very well be necessary, it isn't if you live in a healthy home. By the way, if you're a breastfeeding mom and use products contain triclosan, it does get into the breastmilk and is unsafe for a developing immunce system. You cannot avoid triclosan altogether, though. While you can choose regular soap and water and non anti-bac hand washes (which the FDA says are equally as effective at getting rid of germs), triclosan is present in almost 70% of our rivers, lakes and streams. It is killing marine life and affecting our entire eco-system. Triclosan, by the way, is also present in many toothpastes (particularly the Colgate brand) and several mouth washes. Look at ingredient #4--sounds scary, but is a super gentle fatty ester. It sounds like this could be hazardous but it's A-OK! Also, this contains water and needs preservation. 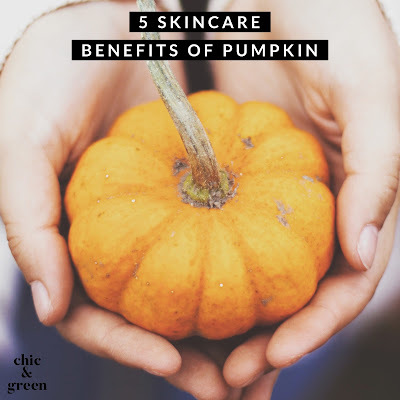 It contains safer paraben-free alternatives in Sodium Hydroxymethylglycinate and Phenoxyethanol, as well as Caprylyl Glycol (which is AKA 1,2 Octanediol on the label). Corn starch absorbs wetness, and the Baking Soda will help absorb odor. This one would have been the best of the bunch. The ingredients are great, and the formula is effective. You feel dry even though it's a roll on applicator. Unfortunately, it contains one of the most toxic skin care ingredients still allowed in the US: Triethanolamine. Companies still get away with putting only "TEA" on their labels. I think sometimes people read that as "tea" as assume they're getting green tea or something else wonderful in the product. Using an abbreviation is terribly misleading. TEA is an irritating emulsifier, pH adjuster, and surfactant. Even at very low amounts, studies have shown it to be harmful when used around the lips, eyes, or mouth. Even though that is not where deodorant is applied, we have to remember that it is getting through your skin into your body. 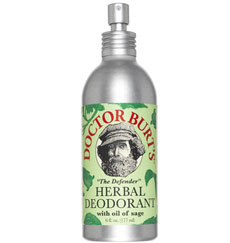 Burt's Bees also has a variety of options when it comes to natural deodorant. Alcohol denat. is denatured alcohol. The dictionary defines denatured alcohol as "Ethyl alcohol to which a poisonous substance, such as acetone or methanol, has been added to make it unfit for consumption." This is the very first ingredient in this product. This is not a benign fatty alcohol to soften skin. This is a harsh alcohol and it's the #1 ingredient in this deodorant. If you have irritated or broken skin, or if you shave your armpits, this will sting. I have tried this formula and it's like rubbing a lemon over a paper cut. OUCH! The only ingredient in this with which you may be unfamiliar is Sodium Usnate. It is a simple antimicrobial. It's very safe. This is a GREAT product. The only downside is its very woodsy scent. I am also NOT fond of patchouli. It bother my allergies more than any other ingredient. While most of the natural deodorants are better than their aluminum-filled counterparts, you need to read your labels. Look for parabens--you'd be surprised that so many still use parabens. Avoid the Propylene Glycol in deodorants. Many handmade formulas also contain something harmful called diazolidinyl urea. Avoid it. Wear natural fibers, not synthetics. These can make you sweat more. Avoid antiperspirants if possible. They will stop you from sweating in the area where you apply the product--and in turn, you'll sweat more in another area. Seriously...one of the common side effects of strong anti-perspirants is people being dry in the desired area only to start sweating excessively in other areas such as belly, between the breasts, feet, behind the knees, etc. you to stay fresh and clean. Of the products above tried and tested, the two I recommend are the Kiss My Face Active Enzyme formula and the men's solid of Burt's Bees. Updated 2011: I am loving SOAPWALLA KITCHEN's deodorant these days! Find it on ETSY.